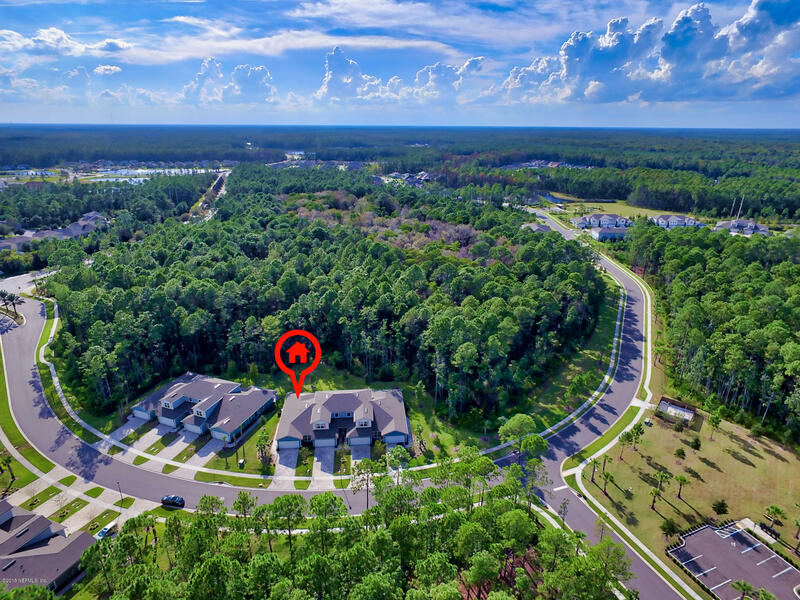 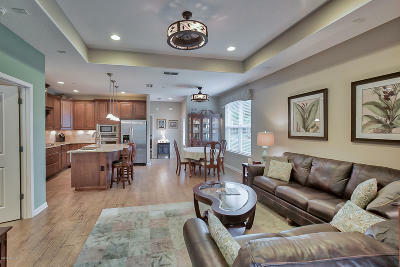 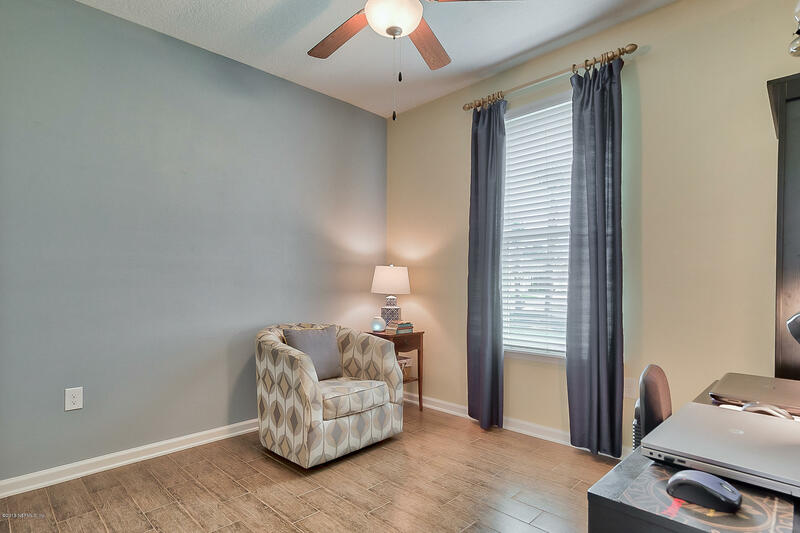 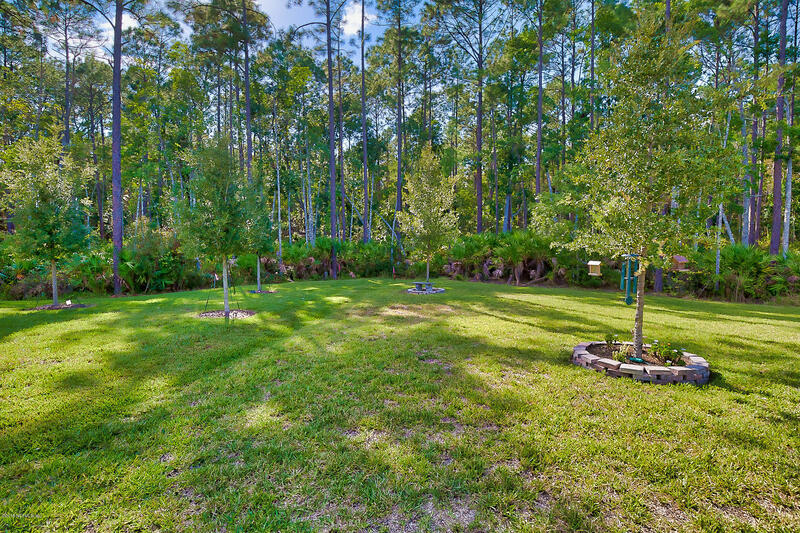 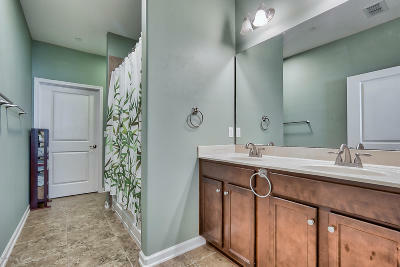 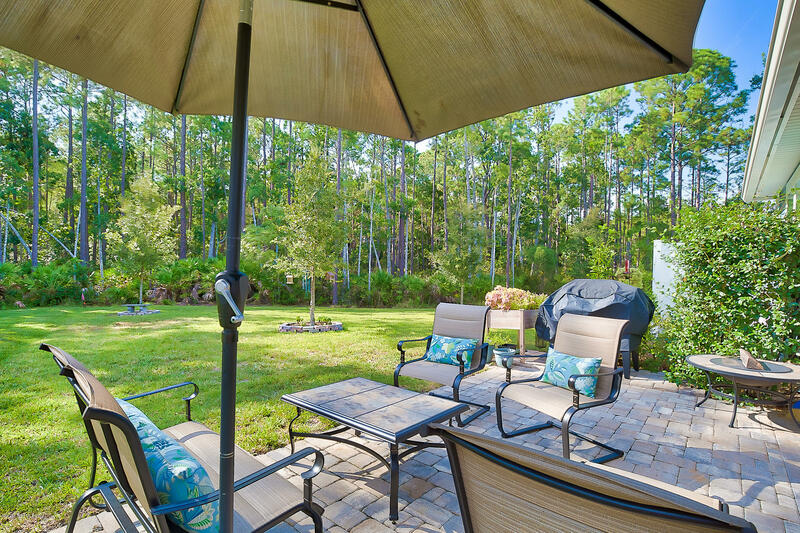 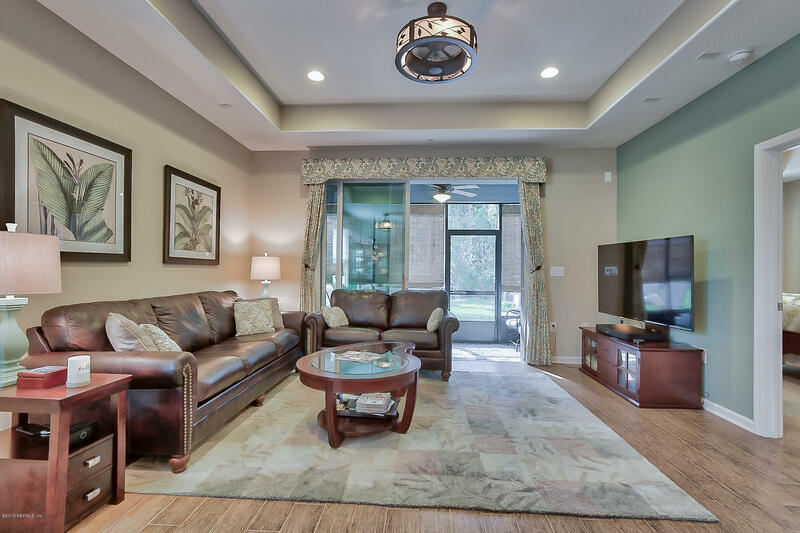 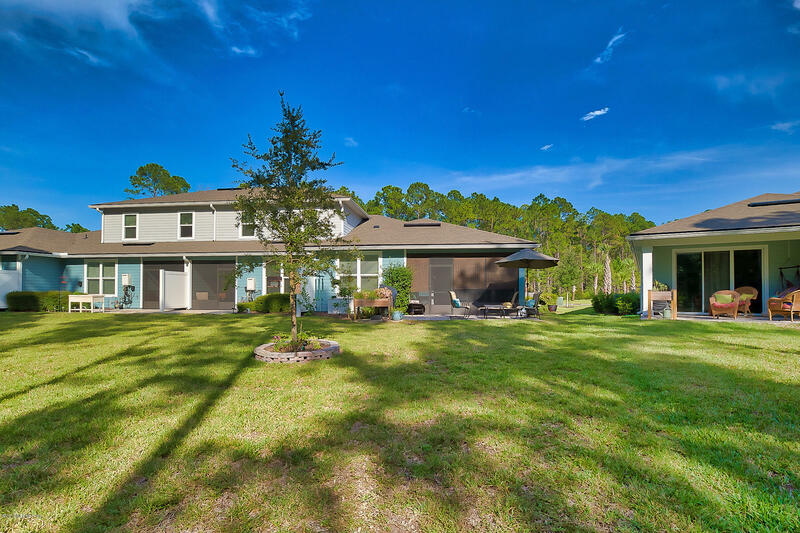 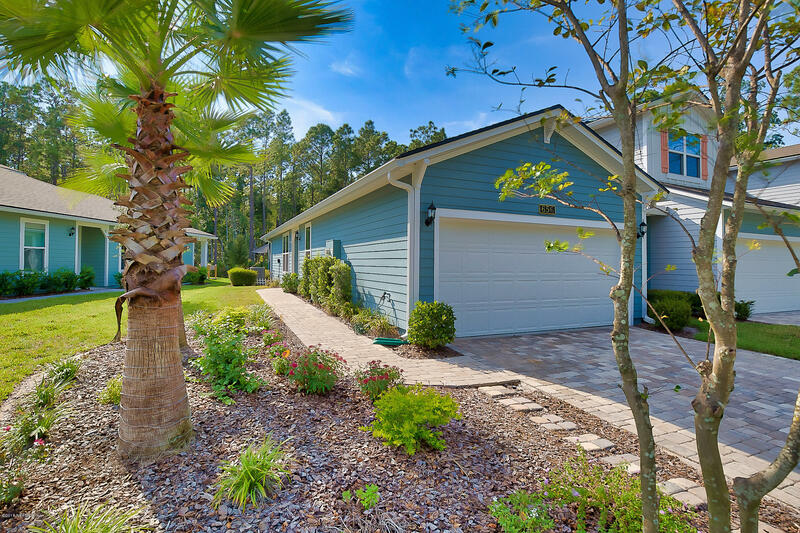 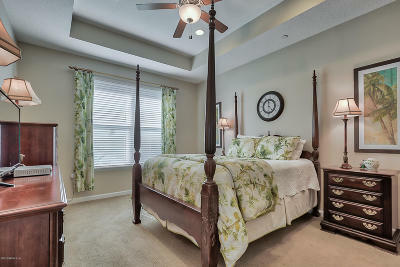 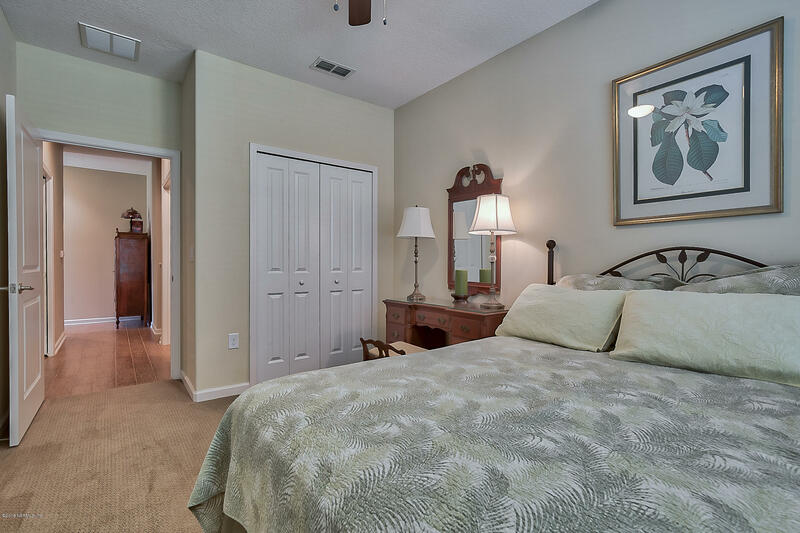 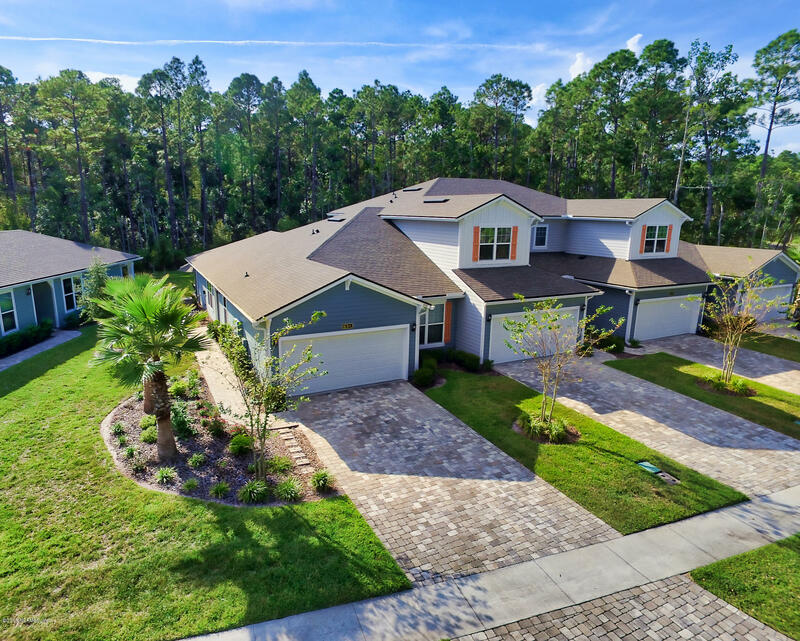 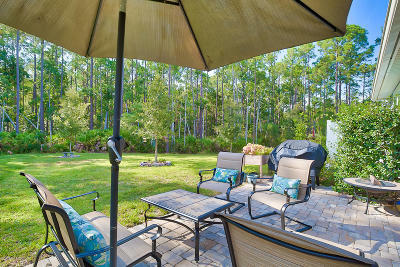 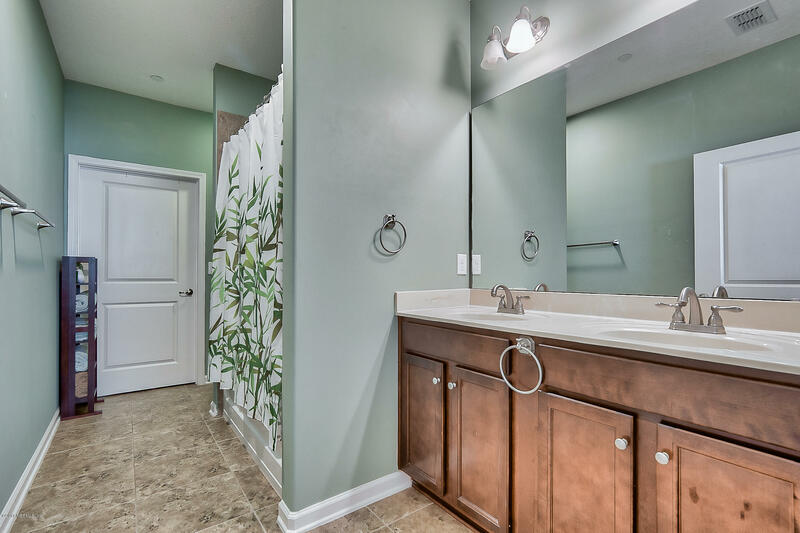 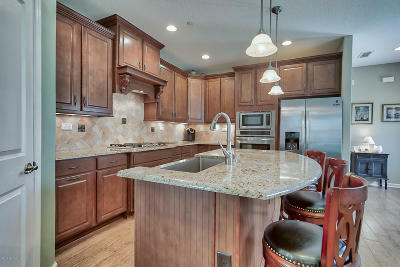 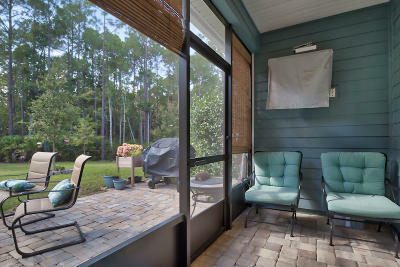 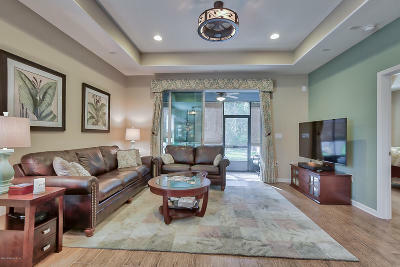 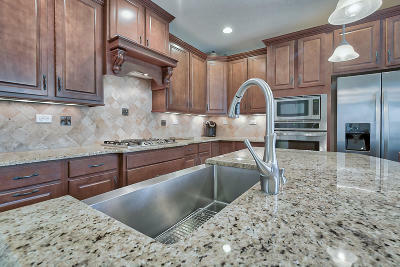 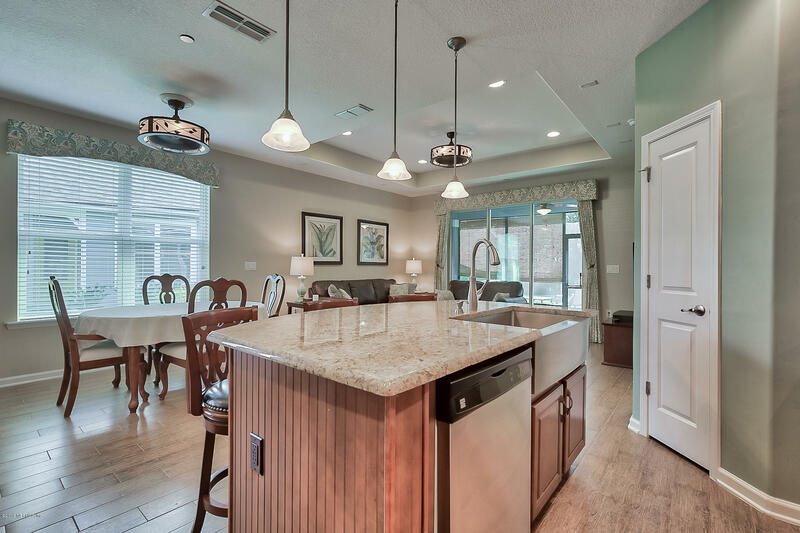 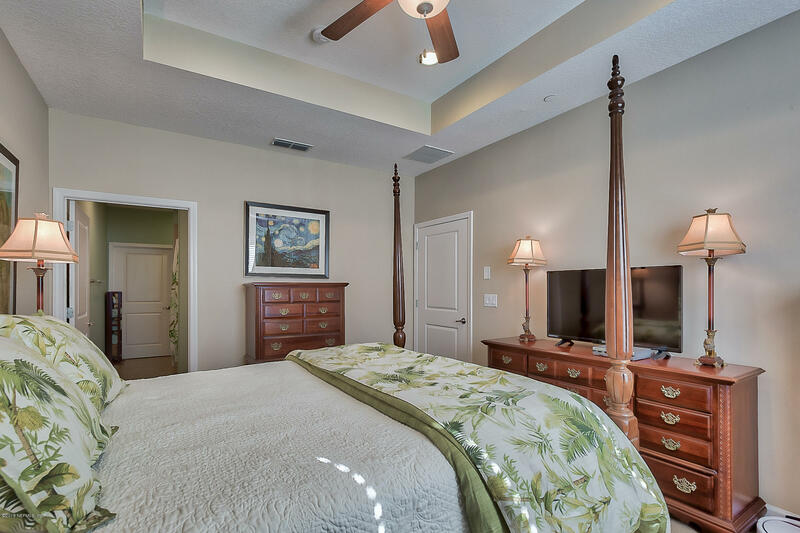 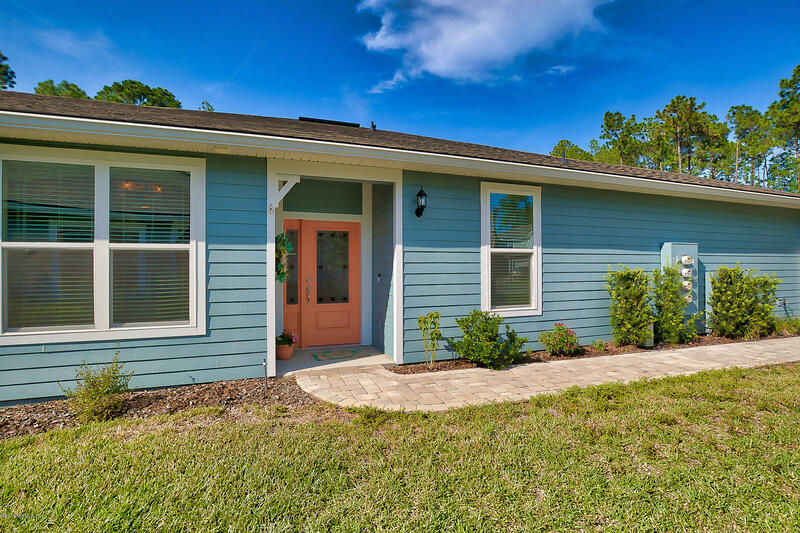 Low maintenance living in Nocatee at it's finest with this beautiful end unit town-home! 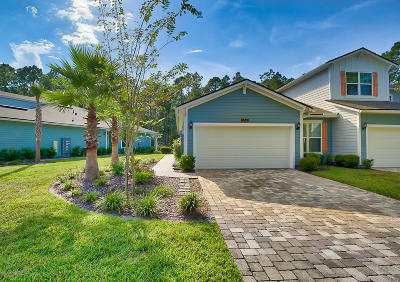 Say hello to your next home as you pull into your pavered driveway with great curb appeal. 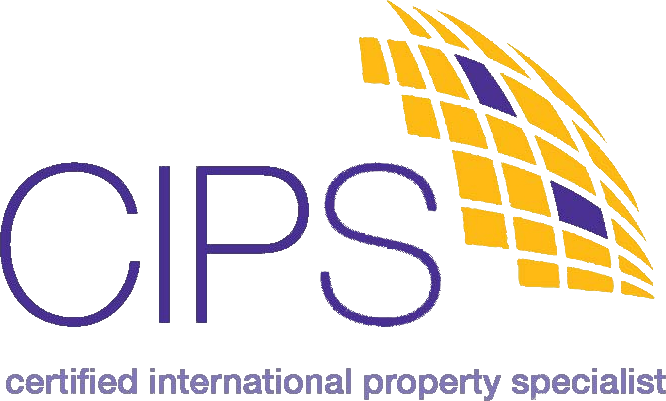 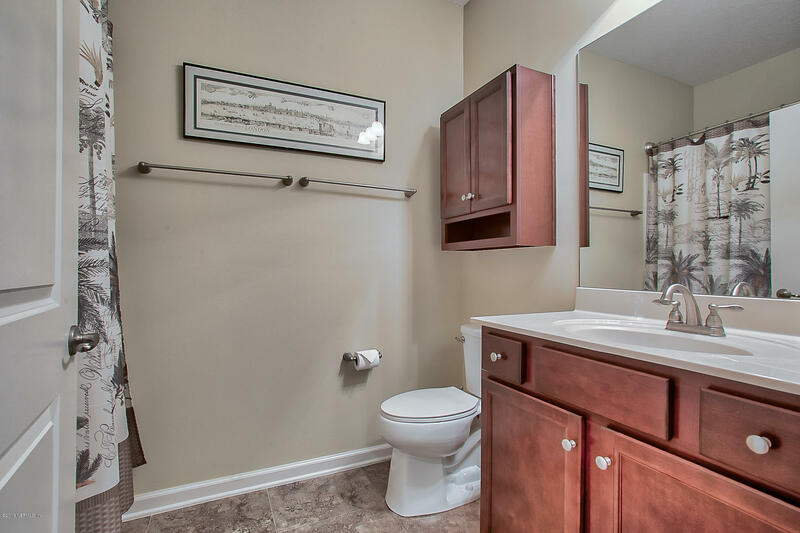 Enjoy upgraded tile flooring throughout main living space and office/3rd bedroom. 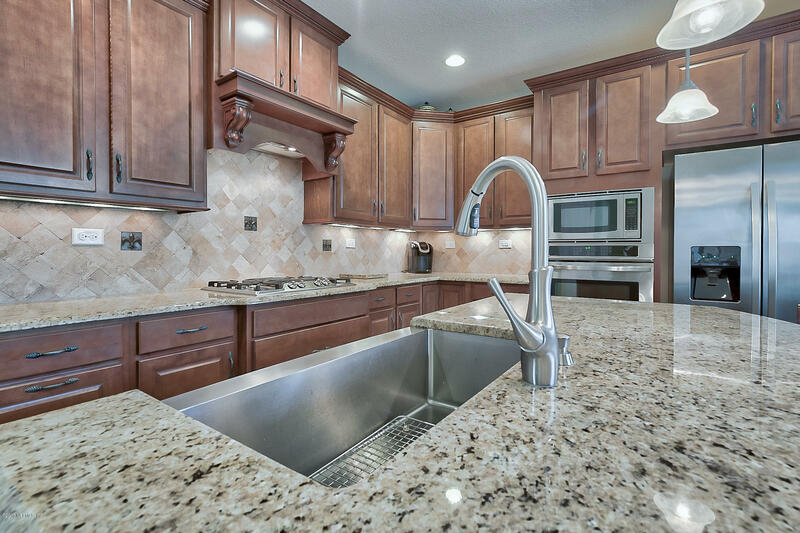 Show off your entertaining and cooking skills in your gourmet kitchen with gorgeous granite counter tops, spacious island with pendant lighting and eat in dining space. 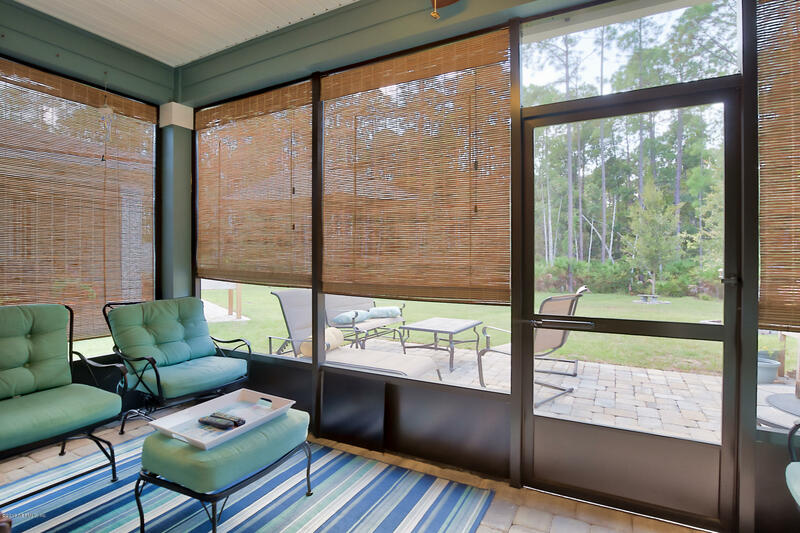 Top off your evening by relaxing in your sizable screened in lanai complete with stone pavers, extended patio pavers and stunning backyard view. 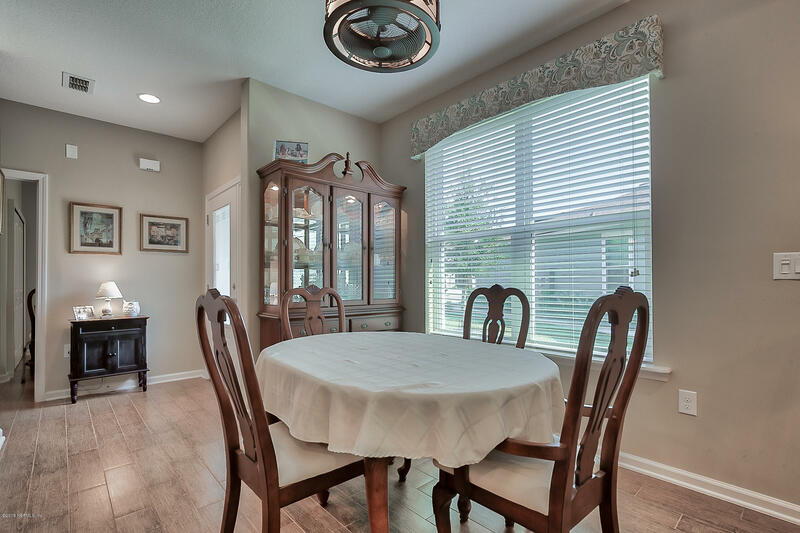 Additional upgrades include designer fans, trey ceilings, rounded corners, upgraded carpet pads and extended pantry just to name a few. 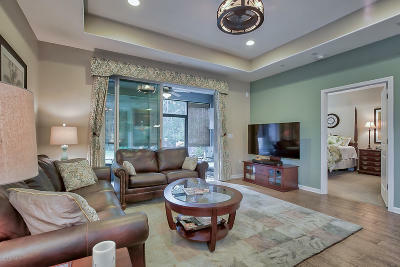 Come see this spacious but cozy home before it's gone!